Kurt Cobain died 25 years ago today. Why he still matters. Every day, I drive down Lake Washington Boulevard, and right by the Denny Blaine estate where Kurt Cobain took his own life in a room over the garage 25 years ago today. And almost every day, there is someone standing across the street, iPhone aloft, capturing the timber-shingled beauty that has long belonged to someone else. In adjacent Viretta Park, the lone bench that sits on a rise is covered with messages to Cobain. People leave flowers and tuck cigarettes in the slats. The man from Aberdeen still has a hold on Seattle, on this place and its cultural identity. 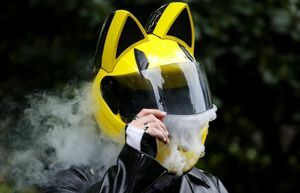 In recent years, though, the city has been overwhelmed by newcomers, some of them born after the Nirvana frontman died at the age of 27, and at the height of the band’s popularity. They may know “Smells Like Teen Spirit,” but not understand the pit in Seattle’s collective stomach. So on this sad anniversary, instead of another remembrance, I asked some people who knew Cobain what music and videos best capture his legacy. A primer for those who may not know Nirvana beyond the ubiquitous X-eyed smiley-face T-shirt that seems more fashion than fandom. 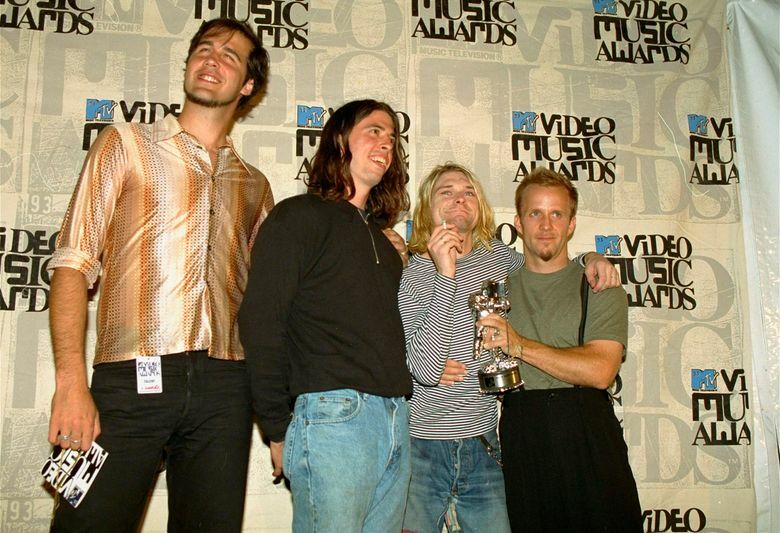 Cross would start with Nirvana’s 1993 appearance on MTV’s “Unplugged,” during which the band played acoustic versions of beauties like “Come as You Are,” “Pennyroyal Tea” and “All Apologies,” as well as covers of songs by David Bowie (“The Man Who Sold the World”) and the Meat Puppets (“Oh, Me”). The performance was released on DVD in 2007. “It was punk music turned down to an acoustic setting,” Cross said, adding that, in that context, it was easier to understand the lyrics. Cobain sat up front, in jeans and Chuck Taylors, his small frame layered in T-shirts and a tired dress shirt under a vintage sweater. He sang with his eyes downcast — and beautifully. 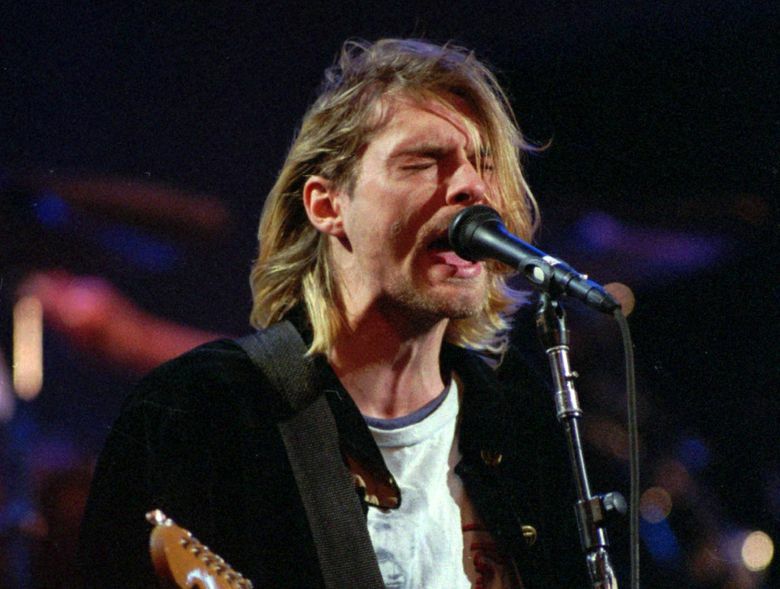 Cobain died less than five months after the show was recorded on Nov. 18, 1993. 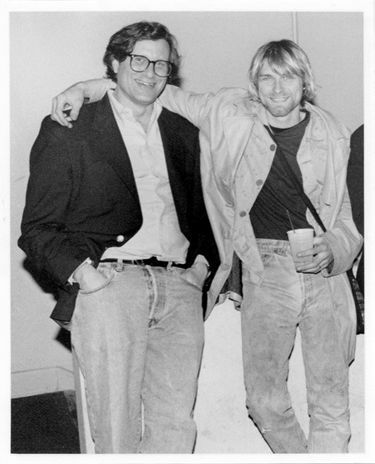 Marco Collins, who was the music director at 107.7 FM The End in the ’90s, championed Nirvana and became close to Cobain. He, too, would direct newbies to the “Unplugged” performance. It is the closest thing to seeing them live. “You might get it after that,” said Collins, who now hosts a show on KEXP 90.3 FM. He would have newbies listen to “Nevermind,” sure. The record sold 30 million copies worldwide. But Collins thinks Nirvana’s third album, “In Utero,” holds up better. “Much more punk rock,” he said. “It’s going to be OK,” Black said, pressing the record against his chest. If I held up a copy of “In Utero,” I asked Collins, what would he say? What would he tell a clueless kid? “I just think,” Collins said, and then paused to allow his memory go back 25 years, maybe more. “I’m not going there,” he said, and quickly ended our call. 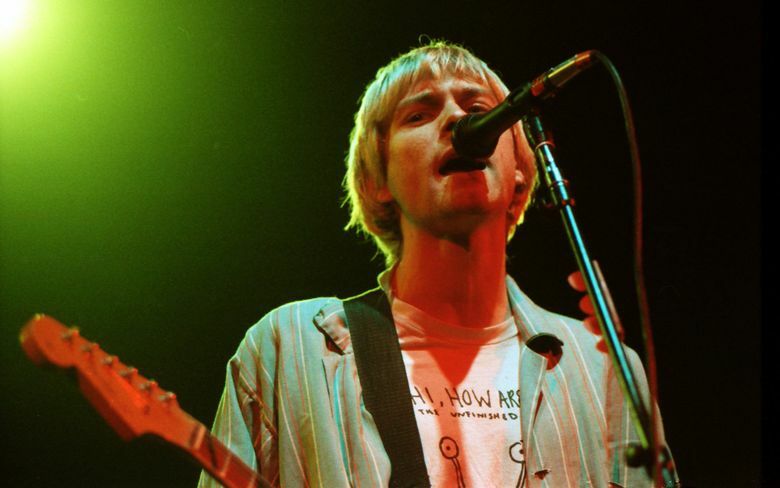 “Kurt clearly touched a nerve with people,” said Susie Tennant, who was the promotions rep for Nirvana’s record company, and traveled with the band as it catapulted to fame. It was Tennant who brought Cobain, bassist Krist Novoselic and drummer Dave Grohl to radio stations and to gigs. And it was she who told them that “Nevermind” had reached No. 1. She even bought and poured the celebratory Champagne. “It was one of the most memorable times of my life,” Tennant said. “I’m not sure if it’s because of his music or the things Kurt came to represent,” Tennant said. 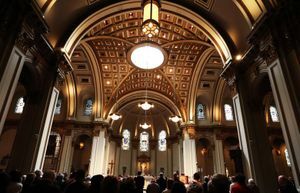 “His connection to the underdogs, his progressive values or his artistic sense. Said one responder: “I don’t get it. You’re 17, and you want to stop wearing their logo because it’s ‘become such a huge universal thing’? That tells you something about impact. About staying power. About Kurt Cobain creating a whole new wave of Nirvana fans, long after he’s gone. Suicide hotline: If you are experiencing suicidal thoughts or have concerns about someone else who may be, call the National Suicide Prevention Lifeline at 1-800-273-TALK (8255).